The wide-ranging business and enterprise benefits of The Sill have been recognised with a £1 million investment by the North East Rural Growth Network. The North East Rural Growth Network approved the £1million Sill investment from the Strategic Economic Investment Fund (SEIF). The fund is designed to stimulate the development of business infrastructure in rural areas and to strengthen the rural economy in the North East LEP (Local Enterprise Partnership) area. The Sill is the first major project in the rural North East to receive SEIF funding. The Sill will create at least 120 jobs, contribute almost £5m in visitor spending to the North East economy per annum and provide a unique training and education facility for future generations. The centre will also house a rural enterprise hub for 10-20 businesses. The Sill will bring together private, public and charitable sectors under one roof, in turn providing valuable networking opportunities and opening them up to thousands of potential customers each year. Northumberland National Park Authority (NNPA) and YHA (England and Wales), The Sill’s lead partners, are today celebrating following confirmation of the £1m grant to further secure the future of the flagship project. Glen Sanderson, Chairman of Northumberland National Park Authority, said: “It is fantastic to see The Sill receive support and backing from the North East Rural Growth Network and the Local Enterprise Partnership. The funding acts as recognition of the wide-ranging benefits the project offers not just to the people of the region and beyond but to the North East economy as a whole. “It’s vitally important for Northumberland National Park to embrace, celebrate and champion business and enterprise within the local area – whether it be farming, crafts or fresh produce. The Sill will provide a hub for rural businesses to grow and flourish in a beautiful and historic location. Cllr Val Tyler, Cabinet member for Arts, Leisure and Culture with Northumberland County Council, said: “This is very welcome news for this amazing project. The Sill is a key component of our Economic Growth Strategy and will help attract even more visitors to the county and the wider region each year. 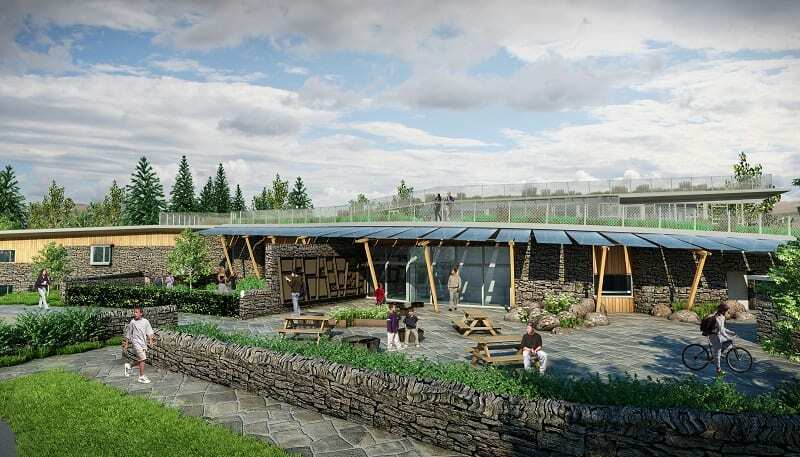 Gillian Hall, North East LEP board member, said: “The Sill is a project of major significance to the North East tourism industry, situated by the Hadrian’s Wall World Heritage site with the potential to create scores of new jobs in its development and boost economic growth in the area. The funding news comes following a successful few months for the ambitious Sill project. In February, The Sill received a £7.8m grant from the Heritage Lottery Fund. The project has also received significant investment from a range of other supporters, including a £500,000 capital grant from Northumberland County Council. This latest investment means that £13.4 million of the overall £14.2 million cost of the Sill has now been secured. Construction of The Sill is expected to begin on site later this year. The activity programme will start in autumn 2015 and The Sill will open its doors to the public in summer 2017.